Our Capital Region is built on Small Business. 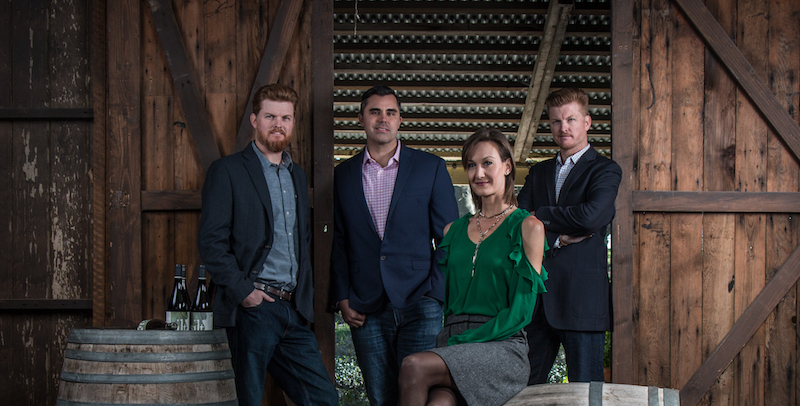 Meet the entrepreneurs behind one of our region’s fastest growing vintners. Number of Employees: Five if you count the owners. We’re a family business. Fun Fact: Ogilvie Merwin Vintners was started as a side project to help sell our family’s fruit. The owners all still work for their family farming operations. We are “Farmers First.” Both Tom and Phil are also President and Vice President of the Clarksburg Winegrowers and Vintners Association. What led you to starting your own business in Ogilvie Merwin Vintners (OMV)? 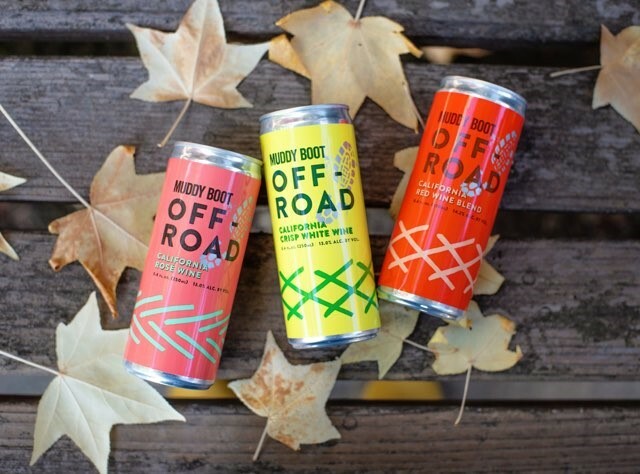 Our mission at OMV is to “be great for Clarksburg.” That mission is carried out by putting as much Clarksburg fruit possible into every bottle of Muddy Boot Wine and get that brand on store shelves nationally. 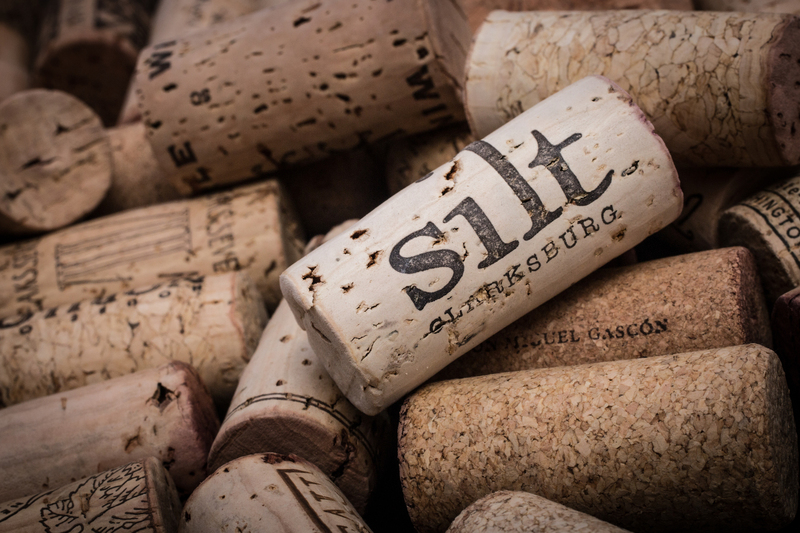 Additionally, we started Silt Wine Company to help people enjoy Clarksburg as much as we do. 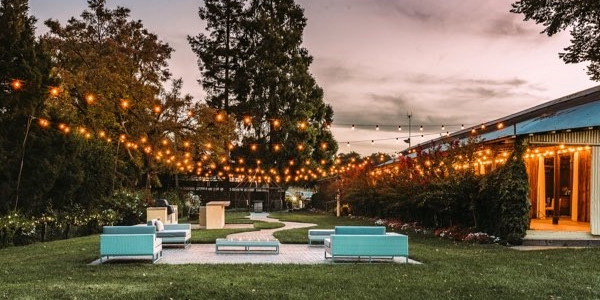 We want the people of Sacramento to experience the wine region that is so close to them – 20 minutes away. We are farmers first (fourth and seventh generation), but as we returned to the vineyards our grandfathers planted, we wanted to get into the wine game as well. We sell our family’s fruit to several wineries in Napa, Sonoma and the Central Coast, but we want to share the fruit of Clarksburg with consumers as well. What was the biggest challenge you faced when launching your business? Our story is similar to other small businesses. There’s always the financial challenges of getting capital to get started. Getting started in the wine industry take a lot of time, dedication and grit. When we started, we didn’t have a distributor. So we would visit accounts or make phone calls on our lunch break, collect an order, and then deliver it the next morning. In the first year, we remember waking up at 4 a.m. to deliver wine to stores in Modesto so that we could be back in the office of our family business by 8 a.m. That’s the kind of hustle you see in most small businesses. It’s almost a badge of honor. I love that about small business owners. They go the extra mile because they are passionate about their product. Now that we do have a distributor, we appreciate them so much because we know we could not grow the brand without them. What is the biggest challenge you face today? I think marketing on a shoe-string budget is our greatest challenge. 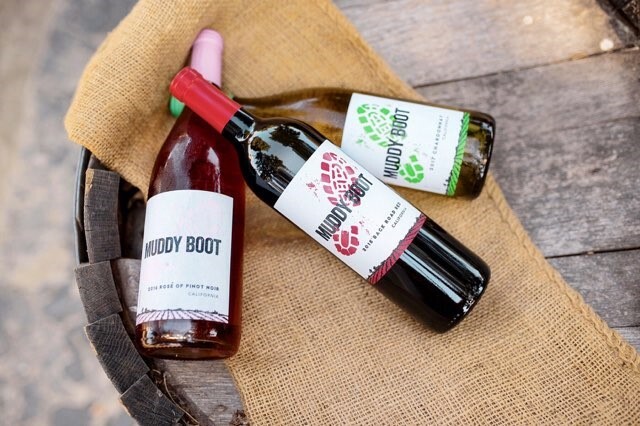 We are growing more and more with Muddy Boot Wine, Muddy Boot OFF-ROAD, and Silt Wine Company. All three of these labels need marketing attention. 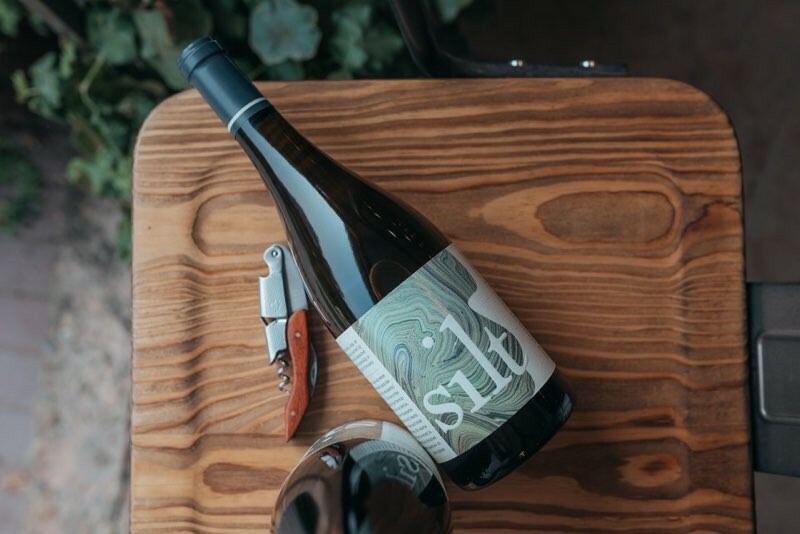 In the wine industry, marketing isn’t just putting ads on social media and billboards, it’s also traveling across the country to help expose people to the brand, the story and experience our wine. What was the most valuable advice you have received as you launched or grew your business? Don’t try and do it alone. Having three partners has been a huge help for us. We share the work load, the stress and success. We begin each of our weekly Staff Meetings with a “toast” to the successes of our teammates in the past week. The three of us are definitely stronger together than any one of us are alone and it becomes more fun that way. Why do you think small businesses are important to our region’s economy? We believe small businesses influence their community around them. Small businesses are the ones that donate money to their local school to help buy uniforms, band equipment and pay for road trips. They are the ones that sponsor community fundraisers that help build parks, schools, places of worship, and important social causes. Small businesses move the needle for development of the region and its economic stability. Small businesses usually beget more small businesses. They are a training ground for the next passionate entrepreneur who wants to help meet a need in the local region. A massive company can come into a region and supply a bunch of jobs – and that is great when that happens. But, a region full of small businesses add depth and richness to the economy that builds an actual community. How has the Metro Chamber helped grow or advocate for your business? I’ve learned that people want to do business with people they know, like and trust. Metro Chamber helps build those relationships. For example, the upcoming Holiday Mixer on Dec. 4th at Raley Field is a great way for small businesses to network together and build community support. I have also been lucky enough to attend Cap-to-Cap where our region comes together, travel to Washington D.C. to secure resources for high priority projects in our region and raise our local concerns to the national level. On last year’s trip, I was able to build meaningful business relationships and friendships that have helped me grow our business locally. At the same time, I was also able to work on a larger regional playing field to impact our local economy on the national stage. What an amazing program! Where have you found support on your small business journey? We shared before that we cannot work alone to build something great. We cannot let an opportunity go by without mentioning the amazing support we have received from our families, our community, and of course, those who enjoy our wine. Our family businesses have been very generous with their support allowing us the time and flexibility to travel as needed. Of course, our individual families have been supportive with our late nights and early mornings required to starting a business. The Community of Clarksburg gave us a warm welcome when we opened the Tasting Room at Silt Wine Company. And finally, everyone who has enjoyed Muddy Boot Wine or Silt Wine Co at some point in the last four years – Thank you! We surely cannot grow without you. You’ve bought, shared, posted about your experience and all of this has helped us grow.